Coffee lovers in Petaling Jaya, Julia is coming to town! 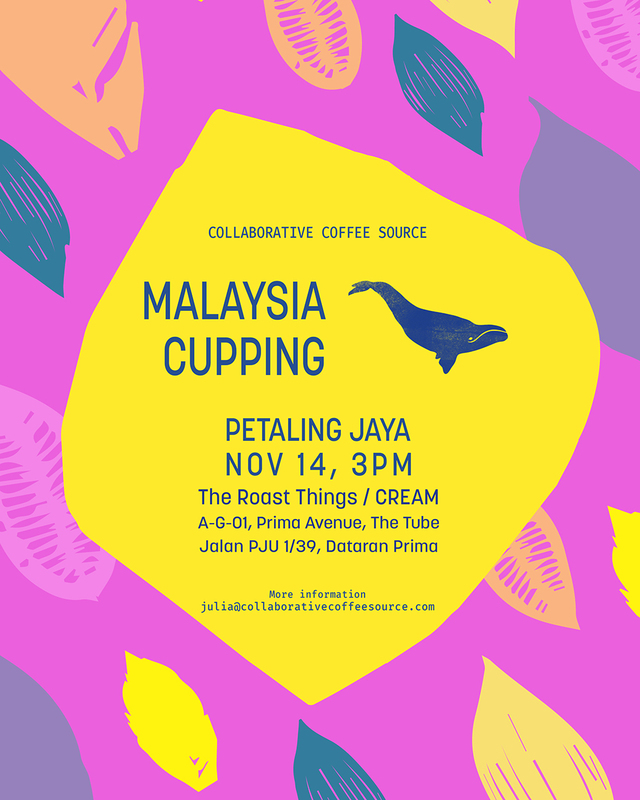 Join Julia and our friends from The Roast Things in their cafe, Cream, for a cupping on Wednesday November 14 at 3pm. Spaces are limited, so email Julia to reserve yours. Roasters in Singapore, Julia is coming your way! 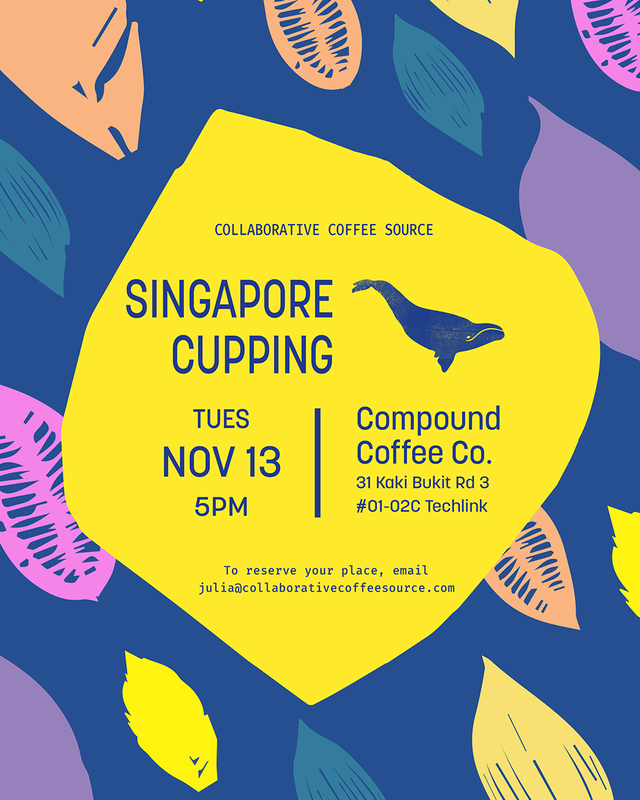 Join her and our friends from Compound Coffee Co. for a cupping on Tuesday November 13 at 5pm. Spaces are limited, so email Julia to reserve yours. Friends in Seoul, Julia is in town! She’ll be at the Seoul Coffee Festival on Friday November 9 and Saturday November 10, and cupping with our friends at Bean Brothers. The cupping is fully booked, but Julia is available to meet at the expo, or at your roastery. Email Julia to make a time to meet. 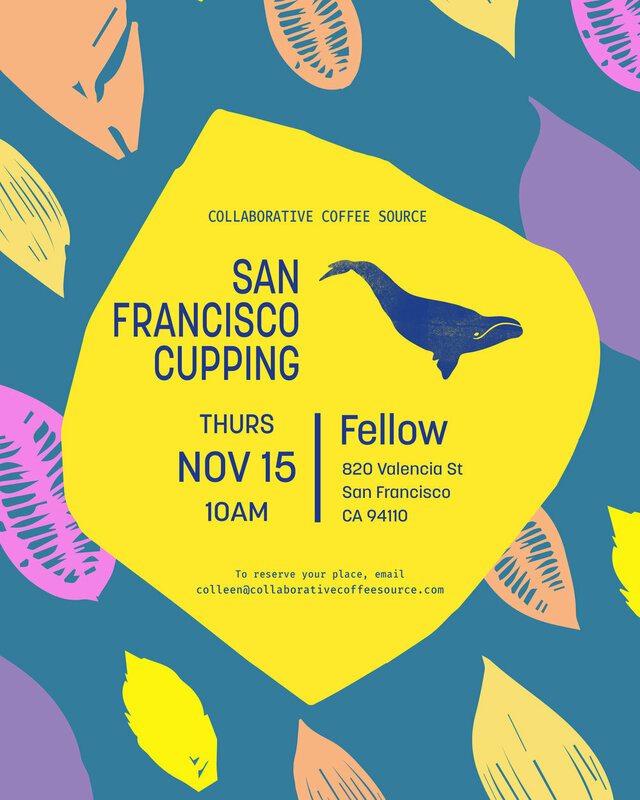 Join Colleen for this cupping in San Francisco on November 15 with our friends from Fellow. 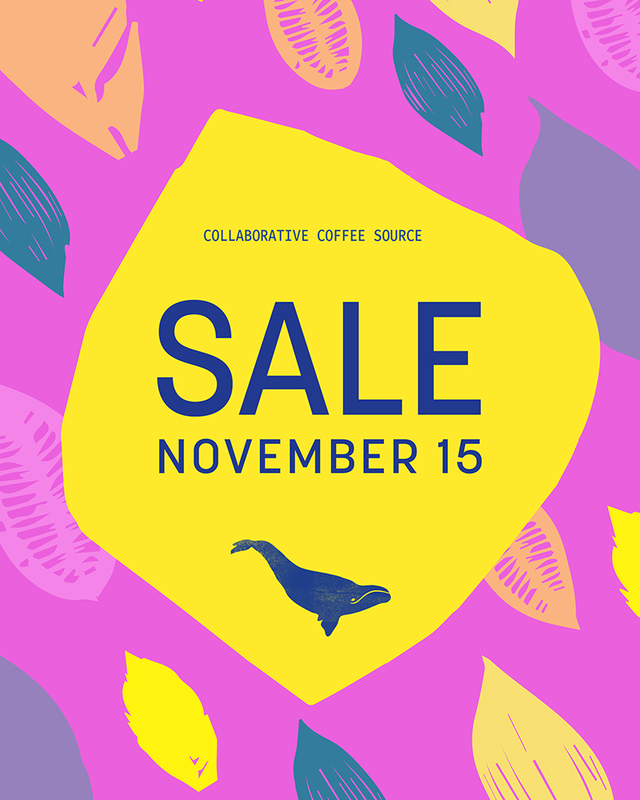 Colleen will present twelve stellar Kenyan coffees which will all be discounted in our November 15 Sale. This is a unique chance to taste the coffees and book them on the spot for a one-time low price of $4.90/lb. Spaces are limited. Email Colleen to reserve yours. Friends in SoCal, Colleen is coming your way for a series of cuppings. She’ll be in LA on Friday November 2nd at 10am for a cupping of stellar Colombian, Kenyan and Guatemalan coffees with our friends from Paramount Coffee Project in DTLA. Spaces are limited, so email Colleen to reserve yours. Beginning this November, CCS will hold a monthly cupping in our Oslo HQ. On the first Thursday of the month we will make a selection of coffees to cup with our friends in the specialty coffee community. It will be a relaxed family affair and everyone is welcome. On the table you’ll find a selection of the most interesting lots we have cupped in the last month, be they experimental lots, new origins or regions, or simply delicious coffees we want you to try. Anyone interested in specialty coffee is welcome. Join us for the first of our monthly cuppings on Thursday November 1, 3pm at the CCS Oslo HQ: Enebakkveien 117b, 0680, Oslo, Norway. Email Bjornar for more information. Friends in SoCal, Colleen is coming your way for a series of cuppings. 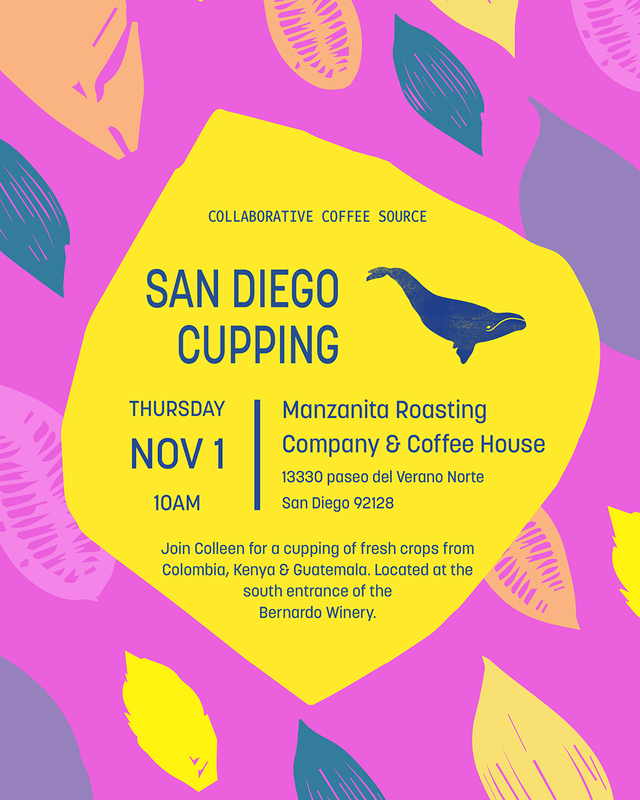 She’ll be in San Diego on November 1st for a cupping of stellar Colombian, Kenyan and Guatemalan coffees with our friends from Manzanita Roasting Company. Our friends at Bay Area CoRoasters will host CCS for a cupping this Thursday, October 11, at 10am. Colleen will be there with delicious Kenyas and Guatemalas, and to discuss your 2019 purchase planning. 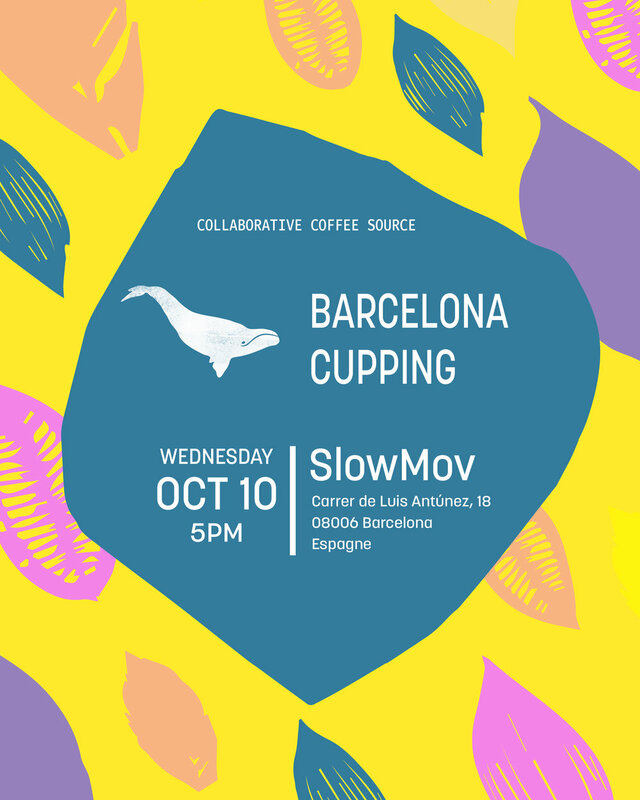 CCS and our friends at SlowMov will kick off the International Barcelona Coffee Festival with a cupping of fresh crops from Kenya, Ethiopia, Costa Rica, Guatemala, plus a few surprises! Spaces are limited to 15 people. Email Nico to confirm yours. Friends in Czech Republic, CCS is coming to town for the Prague Coffee Festival. Veronika will be there, brewing with our friends at Coffee Desk, and visiting CCS family members including Populus Coffee, Doubleshot, Nordbeans, Casino Mocca, Diamond’s Roastery, Morgon Coffee Roasters, and Kavárna Pražírna. Join us in the Cupping Room on Saturday October 20 at 1.30pm to cup some fresh crops from Costa Rica, and La Palma y El Tucán from Cundinamarca, Colombia. Plus we will have a selection of incoming coffees from Peru, a new origin for CCS. Veronika is around to meet and discuss your roastery’s menu, forward planning for 2019, or just to have a chat. Email Veronika to make a time. Friends in Russia, drop by Booth 3F115 at PIR Coffee Expo and say hi to Nico. He’ll be there with our partners KLD Coffee Importers on Wednesday September 26 and Thursday September 27. On Friday September 28 at 11am Nico will be at the KLD offices hosting a cupping of fresh crops La Palma y El Tucán. Contact Nicolas for more details. Friends in Slovenia, Veronika is coming to the Ljubljana Coffee Festival. On Friday the 5th of October Veronika will give a presentation on the role of a sourcing company in the specialty coffee supply chain in The Lab, and at 5pm she will lead a cupping of select CCS summer crops at the Sensory Cupping Table. On Saturday she will be around, judging the barista competition and meeting old and new friends. Want to meet with Veronika? Get in touch. We are thrilled to announce that our good friend Benjamin Paz will be in Oslo next week. Benjamin is both a producer and an exporter of coffee from Santa Barbara. To celebrate, we will host a cupping of fresh crop Honduran coffees that are fresh off the boat. Spaces are limited. Email Bjørnar to reserve yours. The CCS Summer’s End Celebration was our biggest cupping event for the year so far. For two action-packed days we cupped, chatted, discussed, competed and partied with roasters from all over the world. Tetsu Kasuya wowed us all with his cupping skills in the LPET Tasters Challenge, and took home the great prize of 12.5kg of La Palma y El Tucan Heroes Series Sidra Lactic. Spectators were also part of the action with a competition to guess the winner of the finals and their time. Emi of Mame Coffee in Switzerland was the lucky winner of 1kg of LPET gesha, by picking Tetsu as the winner of the competition, guessing he would complete the challenge in one minute. It took Tetsu 51 seconds. Stay tuned for details of our next cupping event in November. Sign up for our newsletter to make sure you are the first to know.